This is the second of a three-part series of "Game of Thrones" prop bets and predictions. The last Game of Thrones article should be posted around the weekend, and of course I will save the best for last with the coolest Game of Thrones props coming in the final article. There are some possible spoilers in this article, so continue at your own risk! We have less than two weeks until all social media and HBO channels will be all hands on as the highly popular show Game of Thrones hits the airwaves. I should put odds up if HBO On Demand goes down at any point of the last season. Not only are the fans excited, but the sportsbooks are excited as well and worried about the plotlines of this highly-anticipated season! Game of Thrones fans has been teased with rumors, extended previews, and brief sneak peaks. With so much mystery, the sports books are taking great action on everything 'Game of Thrones', and what I have seen come across the betting screen on these props is shocking! If you haven't heard, seen or read, I have been writing and setting betting lines on the HBO mega-series for the past 3.5 years, and this year has been crazy! These new betting propositions on Game of Thrones are creative and will make you scratch your head, because they are all about who will be alive or dead when the series ends! With this being the last installment of Game of Thrones to be aired this month, huge rumors have it that HBO will be releasing a possible 'prequel' show. Like I said in the last article , a prequel show could influence how this season ends and who lives and who dies. Some of our favorite characters will perish and some will shockingly stay alive, but in these new Game of Thrones props we give you a shot on your theories on who will die and who will live. My Lean: Do I believe one of the Stark women will perish sometime during this season? Yes, but "who" could be a toss-up. However, I'm leaning towards Sansa Stark. I also believe getting Arya Stark at +800 to Sit on Throne at the end is a very good wager. How Sansa Stark dies is the million-dollar question, but I do believe she goes down towards the end of the series. My Lean: This Head-to-Head death matchup is pretty easy to predict. Theon Greyjoy has probably had one of the worst on-screen medical procedures in television history as his manhood was chopped off, so let's give this guy a break. Theon lives and Euron Greyjoy dies at sea, and from what I've heard it is by some kind of sea monster. Give me Euron Greyjoy -230 as I see this an easy Game of Thrones cash. My Lean: It's a toss-up, but look for both to survive the season. My Lean: The season seven finale saw 'The Hound' come face-to-face for the first time against 'The Mountain'. In that face off, the Hound says, 'You've always known," and he makes a very clear claim. The Mountain has always known that the Hound would kill him. That is why the Mountain is a huge favorite here, and the only thing that does scare me is if Arya Stark kills the Hound in the first couple of episodes. My Lean: I'm not going to lie, I hope Melisandre dies quickly in episode 1 by getting eaten by a dragon, but I don't see that happening. I do see Davos Seaworth staying alive throughout the season. 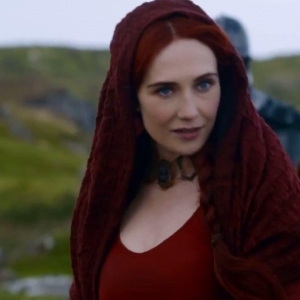 And no matter what, Melisandre will perish sometime this season. Probably by a White Walker, and I'm hoping it's gruesome. My Lean: Pretty easy here! Jamie Lannister will perish sometime this season, and it wouldn't shock me to see him die at the Battle of Winterfell. One of these two will kill their sister (Cersei Lannister), and I believe Tyrion does that job. It wouldn't shock me to see Jamie die by his sister or at the Battle of Winterfell. No matter what, I say, lay the -260 because Jamie Lannister goes down and Tyrion Lannister lives throughout the season. My Lean: Does Jon Snow die again in Game of Thrones? Is Bran Stark the Knight King? So many outstanding questions and rumors about these two, and I have no clue if or when either of these characters dies or survives the last season of Game of Thrones. No free lean because I don't have one. Just sit back and enjoy the season and see what happens between Jon Snow and Bran Stark. My Lean: No brainer here! Cersei Lannister will die by either her brothers, Sansa Stark, Arya Stark, White Walker, or maybe even by her child. Cersei Lannister dies a horrible death and all fans cheer with joy. Lay the -250 and say "thank you" when she dies before Daenarys Targaryen. My Lean: Here is another Head-to-Head death matchup that seems too easy to be true. Brienne Of Tarth is a huge fan favorite, and I see her surviving the season. However, I do see Tormund Giantsbane dying in battle, and it wouldn't shock me to see the Knight King getting him. I know laying -300 is a bit high with Tormund, but he does die and Brienne survives another day. My Lean: It's a toss-up here as I'm shocked that Gilly is a huge favorite to die before Hot Pie. My professional Game of Thrones opinion is both of these characters survive and we all get refunds. I like both characters, so that is what I'm hoping for. Raphael Esparza is one of the best handicappers in all sports. This week and weekend Esparza will have plays from Final Four, NBA, MLB Baseball, Soccer, Boxing, UFC and don't forget this Saturday he has Horse Racing picks from the Wood Memorial, Blue Grass Stakes, and Santa Anita Derby. New clients can take advantage of Doc's no-hassle $60 free picks offer and get Esparza's weekday picks .